The Hulk really wants that Coke mini can. So much that he and Ant-Man fight across the city for it. 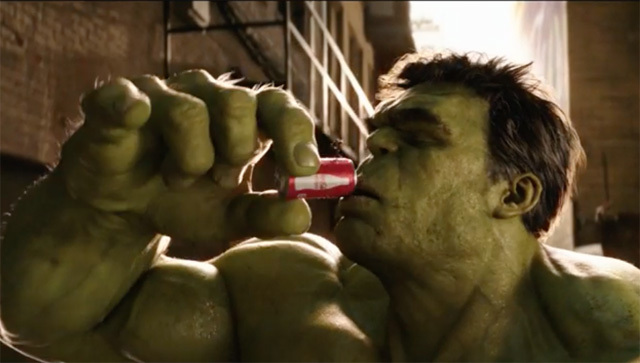 This very cool commercial from Super Bowl 50 features the Marvel heroes battling it out over a mini can of Coke and it might be the coolest short film this year!